FTJ envisions a world in which Jewish consumers recognize fair trade as an expression of core Jewish values, seek out fair trade Judaica products, and use their purchasing power to support thriving communities of artisans around the world. Find out about new fair trade Judaica products as soon as they hit the market and when our blogs are posted!! Join our email list, and get updates about new products, artisans, and FTJ activities. Your tax deductible gift helps us provide assistance and support to fair trade artisans around the world, so that they, their families and communities can live with economic and social stability. 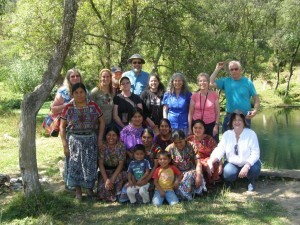 Join us February 3 - 12 for our 3rd annual Fair Trade Judaica trip to Guatemala! We have finalized the itinerary - Highlights include meeting seven different artisan groups, designing new Judaica products, visiting hot springs and a rainforest coffee farm, learning about the Mayan creation story, and spending Shabbat with the Orthodox and Reform Jewish communities! Cost is $2,000 double occupancy, covers all in Guatemala costs except alcohol. Space is limited!!! Contact Ilana for details. 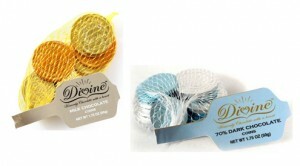 We are excited to let you know that Fair Trade Judaica is again partnering with Divine Chocolate and T'ruah to bring you the best fair trade kosher gelt you've ever tasted! Available in milk or dark chocolate. This year, Chanukah gelt has OU Kosher certification - Shehechiyanu!!! For RETAIL purchases, we have our own Chanukah page this year. You can purchase 1 bag of 13 coins, a 10 pack or a 30 pack. For WHOLESALE purchases, set up your account and place your order here. Please use code guiltfreegelt at checkout, and Divine will donate 10% of sales back to Fair Trade Judaica and T'ruah to support our education work on fair trade. We are so excited to bring you this new product - beautifully hand carved Torah yad (pointer) made in Bali from sustainably grown wood! Available for both on-line retail and wholesale purchase. This new product was inspired by a local rabbi who decided to give his B'nai Mitzvah students a fair trade made gift, linking Jewish values with a mazel tov. We are proud to announce the launch of the Jewish Fair Trade Project, a partnership of Fair Trade Judaica, T'ruah: The Rabbinic Call for Human Rights, and Equal Exchange. 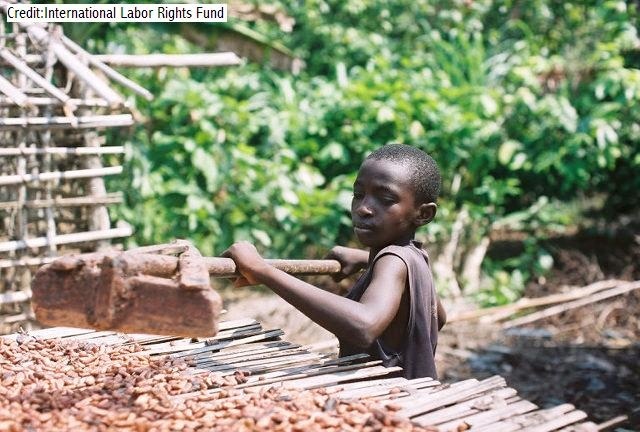 When institutions or individuals purchase fair trade products through the Jewish Fair Trade Project, a portion of the proceeds will support Fair Trade Judaica's and T'ruah's work engaging the Jewish community in ending modern-day slavery and protecting workers' rights. Organizations can purchase these products at wholesale prices for their use, as well as for fundraising opportunities. We hope that 5775 has begun on a sweet and inspiring note for you. Thanks for sharing your beautiful Sukkot photos featuring our Jewish Blessing Flags! Find out about new fair trade Judaica products as soon as they hit the market and when our blogs are posted! Fair Trade Judaica is a beneficiary of UpStart Bay Area. Fair Trade Judaica is a project of Community Partners/Jumpstart. Fair Trade Judaica is a member of the Fair Trade Federation. Copyright © 2007-2014 Fair Trade Judaica, all rights reserved.